ERISA consultants at the Retirement Learning Center Resource Desk regularly receive calls from financial advisors on a broad array of technical topics related to IRAs and qualified retirement plans. We bring Case of the Week to you to highlight the most relevant topics affecting your business. A recent call with a financial advisor in Colorado is representative of a question we commonly receive related to life insurance in qualified plans. If life insurance is offered as an investment within a retirement plan, the following are some critical points to keep in mind. Death benefits must be “incidental,” meaning they must be secondary to other plan benefits. For defined contribution plans, life insurance coverage is considered incidental if the amount of employer contributions and forfeitures used to purchase whole or term life insurance benefits under a plan are limited to 50 percent for whole life, and 25 percent for term policies. No percentage limit applies if the participant purchases life insurance with company contributions held in a profit sharing plan for two years or longer. [See IRS Revenue Ruling 54-51 and PLR 201043048. For a defined benefit plan, life insurance coverage is generally considered incidental if the amount of the insurance does not exceed 100 times the participant’s projected monthly benefit. If the plan uses deductible employer contributions to pay the insurance premiums, the participant will be taxed on the current insurance benefit. This taxable portion is referred to as the P.S. 58 cost. Insurance premiums paid by self-employed individuals are not deductible. 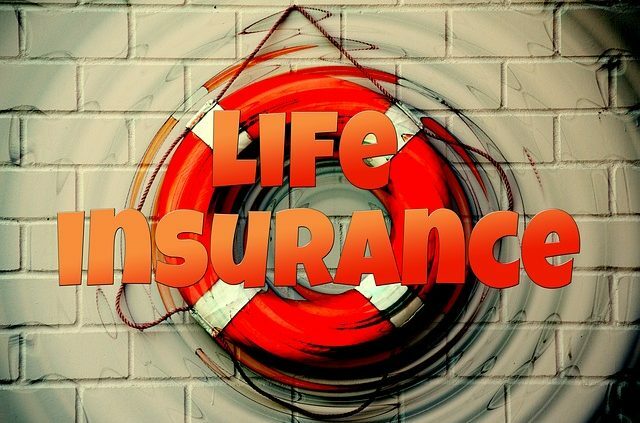 A participant with a life insurance policy within a retirement plan, generally, may not roll over the policy (but he or she may swap out the policy for an equivalent amount of cash, and roll over the cash). Participants may exercise nonreportable “swap outs.” In a life insurance swap out, the participant pays the plan an amount equal to the cash value of the policy in exchange for the policy itself. This transaction allows the participant to distribute the full value of his or her plan balance (including the cash value of the policy), and complete a rollover, while allowing the participant to retain the life insurance policy outside of the plan. Anne has a life insurance contract in her 401(k) plan with a face value of $150,000, and a cash value of $25,000. She elects to swap out the policy and gives the administrator a check for $25,000. In return, the administrator reregisters the insurance policy in Anne’s name (rather than in the plan’s name), and distributes the contract to her. There is no taxable event and Anne may take a distribution (once she has a triggering event) and roll over the entire amount received if that is in her best interest. It is possible that a qualified retirement plan may allow participants to invest in life insurance under the plan. Check the terms of the document to determine whether it is an option and follow the incidental benefit rules. 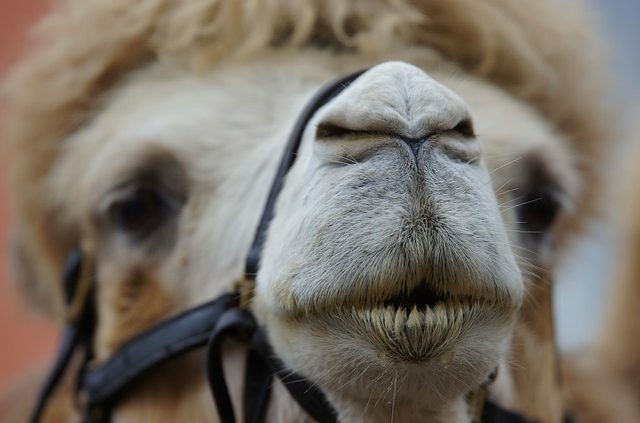 Fiduciary Enforcement: A Camel’s Nose Under the Tent? We closed our eyes. We held our breath. June 9, 2017, came and passed, and the new Department of Labor (DOL) fiduciary rules for financial advisors became applicable, albeit subject to a relaxed transition period that runs through July 1, 2019. Gee, it didn’t seem so bad after all. Perhaps the new regulations aren’t the media event many of us made them out to be. Or is there more to the regulations than we realize that will lead to more serious and less desirable consequences down the line. Is there a camel putting its nose under the tent? Clearly, the new regulations have resulted in broker-dealers implementing significant changes to their platforms, pricing, processes and products. These changes will have long-term effects for consumers, advisors and broker dealers. Originally, the concern over the regulations focused on the application of certain Employee Retirement Income Security Act (ERISA) rules to IRAs and rollover transactions. Under the new rules, previously commonplace transactions, such as recommending a rollover to an IRA, become a prohibited transaction and, potentially, subject to penalty unless an advisor follows an exclusion (e.g., providing education not advice) or the Best Interest Contract exemption (BICE) from the regulations. One immediate impact of these changes for advisors is increased oversight and the need for intensified documentation of IRA-related transactions—in particular—rollovers. One immediate impact on consumers seems to be reduced choice with their IRA accounts. What about enforcement of the new rules? Well, according to DOL Field Assistance Bulletin No. 2017-02 and the DOL’s extension to the special transition period, until July 1, 2019, under a temporary enforcement policy, the DOL will not take any enforcement action against, “… fiduciaries who are working diligently and in good faith to comply with the fiduciary exemptions.” Likewise the IRS will not IRS will not apply § 4975 and related reporting obligations with respect to any transaction or agreement to which the DOL’s temporary enforcement policy applies. But, I am less concerned about the DOL and IRS, and their enforcement and reporting initiatives. The good news regarding federal-level initiatives, whatever they may be, is that they create a level playing field applicable to all players in essentially the same manner. No, my concern with the new regulations is not at the federal level but rather at the state level. Under the regulations “state camels” may be placing their noses under the retirement tent. What could possibly go wrong? Before we explore the new state level issues let’s review the traditional ERISA and the Internal Revenue Code (IRC) enforcement environment. The governance and control of retirement plans sits with the Federal government and courts. The DOL writes the rules for both retirement plans and IRAs. The DOL has enforcement authority over retirement plans under ERISA, and the IRS has enforcement authority over IRAs through the IRC. 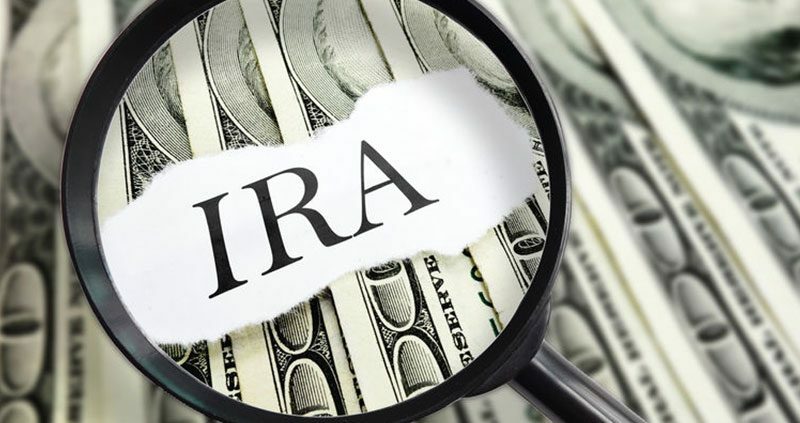 While there is no private right of action for IRAs, the IRC’s prohibited transaction provisions generally prohibit IRA fiduciaries from self-dealing, enforced through an excise tax. The Federal venue offers several significant advantages. Federal law is uniformly applicable in all 50 states: One set of rules; one level playing field. In general, Federal rulings result in consistent interpretation (usually!) of the applicable laws. Next, Federal litigation is expensive. This means the issues brought forth are usually legitimate and not frivolous. Litigation occurs with significant issues when the plaintiffs believe they have a winnable case. How are states able to become involved in retirement enforcement and litigation? Let’s examine how the regulations bring state courts into the retirement arena. Recall many IRA providers and advisors will utilize the BICE to avoid prohibited transactions. The BICE is a contract between the client (e.g., an IRA owner) and the advisor or other service provider. Contract law is based at the state level. Thus, if a plaintiff believes the advisor, provider, etc., has violated one or more elements of the BICE contract he or she can seek relief in state court. As the rule stands today, a BICE contract is enforceable under state law, and must provide for the right to sue in a class action. And it gets worse. Each state’s contract law is unique. Much contract law is similar but not completely so. Thus, a BICE contract violation in one state may not be a BICE contract violation in another state. Theoretically, large retirement vendors will need to concern themselves with 50 sets of state ERISA BICE contract rules. I would argue the States are not well versed in, nor facile with, the complexities of the Federal retirement regulatory environment. At a recent conference, one of the speakers was the official responsible for launching a state-run retirement program for small businesses. This state program requires most small businesses to offer a Roth IRA retirement program to employees. Again, this was an IRA-based program. I was, honestly, appalled at the official’s lack of insight and understanding of IRA programs, retirement plans and retirement regulations. Perhaps this is unfair of me, but I don’t see why states should commit resources to an area where the federal government and its agencies have done a credible job with enforcement and the protection of workers and their retirement benefits and rights. Another level of enforcement will simply increase costs that ultimately are paid by investors. I fail to see the benefit or the need for this new level of enforcement. https://retirementlc.com/wp-content/uploads/2017/12/camel-1639198_640.jpg 425 640 jkiffmeyer https://retirementlc.com/wp-content/uploads/2017/05/retirementlearninglogo.png jkiffmeyer2017-12-01 02:49:262017-12-01 02:49:26Fiduciary Enforcement: A Camel’s Nose Under the Tent? I believe the IRS requires a person to treat a Roth IRA conversion as consisting of a pro rata share of the individual’s pre- and after-tax retirement assets. When determining the taxable amount of a traditional-to-Roth IRA conversion, does my client include his 401(k) plan balance in the calculation? ERISA consultants at the Retirement Learning Center Resource Desk regularly receive calls from financial advisors on a broad array of technical topics related to IRAs and qualified retirement plans. We bring Case of the Week to you to highlight the most relevant topics affecting your business. A recent call with a financial advisor in Illinois is representative of a question we commonly receive related to Roth conversions. Your client would not include his 401(k) balance when determining the taxable amount of a traditional IRA-to-Roth IRA conversion. Please see IRS Publication 590-A for further guidance. When calculating the taxability of a conversion in this case, your client would include all of his nonRoth IRAs for which he is the direct owner, including traditional IRAs, simplified employee pension (SEP) IRAs, and savings incentive match plan for employees (SIMPLE) IRAs. Annuities (unless they are individual retirement annuities under Section 408(b) of the Internal Revenue Code). The steps for calculating the taxable amount of a traditional IRA-to-Roth IRA conversion are part of the IRS Form 8606, which your client must complete and file to report the conversion. Encourage your client to discuss the conversion with his tax advisor. Because a traditional IRA-to-Roth IRA conversion is (generally) a taxable and (always) a reportable transaction, investors should consult their tax attorneys or professional tax advisors concerning their particular situations.